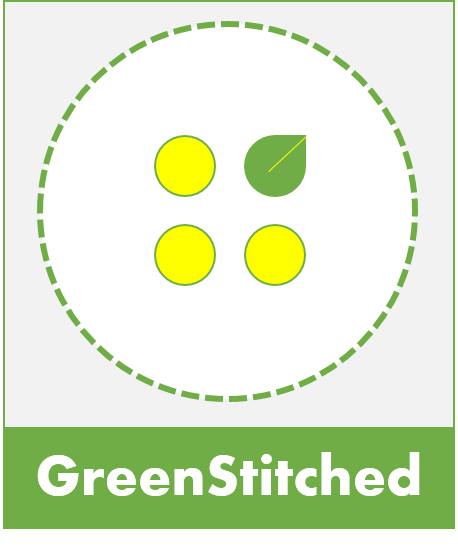 Through the next two months, GreenStitched sits down with the finalists of EcoChic Design Award 2015/16. EcoChic Design Award is a sustainable fashion design competition organised by Redress, inspiring emerging fashion designers and students to create mainstream clothing with minimal textile waste. The interviews with these young designers will be posted every Wednesday on GreenStitched. Today we meet Amy, who has recently received her degree in Sustainability in Fashion from ESMOD Berlin in Germany. What brought you into the world of fashion? That ‘aha’ moment which opened doors to sustainable fashion? Amy: I really loved working with textiles, and it made me very curious about all the processes that go into its production –for example dyeing, growing and spinning. From there as I started to look deeper into some of the issues in the fashion industry which became very obvious. I realised what a significant impact this has; it’s one of the biggest industries in the world! For me, just because something was sustainable, it doesn’t mean that it has to look or feel any different – I think this is one of the biggest misconceptions about sustainable design. I think that working in a more holistic way makes the final products more interesting, more considered, and just as exciting and beautiful! I want to make sustainable fashion accessible to everyone. I want it to be fun and engaging and not critical. Sustainability needs to be considered across the entire supply chain, from fibre production to manufacturing, to the way the user interacts with the garment and all the way to its end-of-life and potential for re-use. I want to be part of the new breed of designers who rethink the process of fashion design and who have a genuine and positive impact. What was your inspiration for the EcoChic Design Award collection? Amy: This collection has been inspired amongst other things, by dinosaurs depicted in modern art and nostalgic film posters, using knitwear to create areas of texture, from a variety of sources of material. The collection combines pop culture references from different eras, 60’s silhouettes, vintage washed out colours, and traditional knitting techniques, all combined with a contemporary approach to make unique, fun and interesting garments. The collection is designed to be fun, tactile and unusual, but all with elements of familiarity and comfort. I wanted to display the potentials of knitwear within the field of sustainable fashion, as these garments are very low waste, low energy and reuse and re-purpose old materials, creating a very low impact collection that is also contemporary and beautiful knit. – Getting the chance to work with other people from different backgrounds really opens your eyes to new possibilities. It is incredibly inspiring. – Sustainable design is some of the most innovative design; it challenges people to be more creative, more inventive and more sensitive. I think that we can learn so much from people developing these ideas. – Sharing your ideas is a great thing. In the more conventional fashion industry, it is normal to be very secretive about your process and your designs. However, with sustainable design, we all want to learn from each other and share our ideas and collaborate. How do you think sustainable fashion can move from a niche to the mainstream? Amy: I used to think that a gradual change would happen, and if we were able to give more information to consumers and designers then we would naturally move towards a more sustainable industry. I still feel that but I think that the fashion industry, especially fast fashion producers, are moving so fast and doing so much damage that they need to be held accountable and responsible for their actions. We need to legislate and monitor the actions of these huge manufacturers, with regards to both the social and environmental impact of what they’re doing. What is the biggest misconception about sustainable fashion? Amy: I think it’s changing a lot but there are still times when people assume that sustainable fashion is very dull and make of scratchy material. I think another of the biggest misconceptions is that people assume dressing sustainably is more expensive, there is such a huge amount that can be done with existing materials and clothing and the DIY industry, so being sustainable, fashionable and sticking to a budget is really easy! What is your advice for the next breed of fashion designers? Amy: My advice would be to think big and take risks – it sounds very cliché but to really get your ideas out there and to compete with the conventional fashion industry, you have to be doing something interesting. I would also say to read all the time and learn as much as you can, you’ll never get it right first time and there will always be new things so don’t be put off, just keep trying. What is next in store for you? Amy: I am really lucky to be working on an exciting project in Scotland at the moment, working with children in schools with design and sustainability, helping them to reconsider what their learning spaces are and how they could adapt them. It’s a really rewarding project and the children are so excited and have a lot of energy, and are learning a lot about sustainability. I think the more we can teach children the more likely the industry is to change, so I feel very positive about this work. You can follow Amy on Instagram, Tumblr and Twitter. Watch Frontline Fashion , a documentary following these talented Asian and European emerging fashion designers determined to change the future of fashion. As they descend into Hong Kong for the design battle of their lives, all eyes are on the first prize; to design an up-cycled collection for China’s leading luxury brand, Shanghai Tang. This documentary is available on iTunes here. The next cycle of the EcoChic Design Awards is open for application from 3 January to 3 April 2017. Interested students can find more details here. This entry was posted in Conversations, Exclusive and tagged Amy Ward, bestfromwaste, designfromwaste, DIY Fashion, eco-fashion, EcoChic, EcoChic Design Award, ESMOD Berlin, fashion design, fashionfromwaste, knitwear, Redress, Sustainable Design, Tim Wong. Today we meet Belle, a fashion designer from Thailand. Belle: I have a background in textile design. As I weave different fabrics, I see the importance and need to be aware of the things I make. I believe it is my responsibility to understand the long-term effects. As fashion design students, we typically spend the bulk of our time learning about designing and making, but we rarely do we consider the environmental impacts we cause through our production as well as what happens after we have sold our designs. I want to be part of the new generation of designers who raise the standards of the fashion industry. Belle: The fashion industry is one of the largest polluters in the world. As I am aware of the amount of waste created in the process, I saw the potential of using them with my specialty as a weaver. I was inspired to use a technique I call “Up-cycle Weaving” in my collection – which is all about reinventing new materials. For my EcoChic Design Award collection, I re-weaved various types of waste fabrics including waste leather and end-of-roll textiles I sourced from a local bag factory in Thailand to create a sustainable collection that looks wearable in everyday life. – Believe in your passion. Search for an opportunity and express it. – It may be difficult to balance aesthetics and design sometimes, but the most important thing is to do what you like and be proud of your creations. – Sustainable is around the corner. It is in your everyday life. Belle: It all comes down to the way consumer perceives sustainable fashion. Aesthetics will be important . The designer has to prove that there can be a balance between sustainability and aesthetics; then people will start to believe it. Belle: Sustainable fashion is not about designing an outfit from the garbage or plastic bottles that you purchase from supermarket. We must consider the source of the materials well as who makes it. Belle: Believe in yourself. Be confident. There will always be someone who likes your work. Belle: I’m currently running a woven textile studio under my name. I’d like to provide a new creative approach to textile design by exploring unusual materials as well as a sustainable approach. You can follow Belle on Facebook. Watch Frontline Fashion, a documentary following these talented Asian and European emerging fashion designers determined to change the future of fashion. As they descend into Hong Kong for the design battle of their lives, all eyes are on the first prize; to design an up-cycled collection for China’s leading luxury brand, Shanghai Tang. This documentary is available on iTunes here. This entry was posted in Conversations, Exclusive and tagged Belle Benyasarn, bestfromwaste, conversation, designfromwaste, ECDA, eco-fashion, EcoChic, EcoChic Design Award, fashion design, fashionfromwaste, Frontline Fashion, GS_ECDA, interview, Redress, Sustainable Design, thenewweaver, Tim Wong, Upcycling. It is becoming increasingly clear that the public wants to make greener fashion choices. As more people learn about the impact of their clothing, they want to be empowered to make more informed shopping decisions. According to the Savers State of Reuse Report, more than half of North Americans report they are more likely to practice reuse after learning about the clothing industry’s environmental footprint. But there’s a problem: People can’t choose sustainably-sourced clothing if it’s not available on the shelves. The clothing industry has quietly become one of the biggest polluters in the world. The public is only now starting to hear about it through the recent wave of events, films, dialogues and research studies. With the production of a single cotton T-shirt requiring over 700 gallons of water, the fashion industry is now being confronted with the strain it puts on our planet’s finite resources. Eileen Fisher is one industry leader to publicly acknowledge the devastating environmental impact of the fashion industry, and has unwaveringly pledged to change. Eileen Fisher’s Vision 2020 initiative is guiding her business toward 100 percent sustainable practices while still creating high-quality, timeless and fashionable garments. Although it may not be apparent that Fisher is blazing a trail when you walk into the nearest mall or department store, she is one of many designers and organizations that remained committed to eco-friendly and sustainable fashion for years. Take Eco Fashion Week, a nonprofit organization that is dedicated to discovering solutions and innovations to help advance the fashion industry in a sustainable and responsible direction. Founder and President Myriam Laroche uses her deep understanding of retail buying to empower designers, retailers and stylists to embrace sustainable fashion. And after 10 successful years in Vancouver, Canada, Eco Fashion Week brought the world’s largest sustainable fashion show to Seattle this year to further its mission – highlighting fashion rooted in zero-waste production, eco-friendly textile treatment and development, and the environmentally conscious disposal of unwanted clothing. Two days of runway shows celebrated unique collections fashioned from sustainable materials as well as reclaimed materials. These efforts are pushing the fashion industry in the right direction, but there is still more work to be done. With high price tags and limited selection, sustainable fashion can seem unattainable to the average person. To truly move the needle and minimize our clothing footprint, sustainable fashion must become mainstream. From how cotton is grown, fabrics are dyed and garments are manufactured, to how owners care for these items and whether unwanted garments are repurposed or recycled to ensure a second life, sustainably-sourced fashion begins long before a garment is placed on a shelf. And it ends far after a person no longer wears it. Both shoppers and retailers must acknowledge that the real cost of clothing is more than what’s printed on the price tag. When over 95 percent of textile and clothing waste sent to landfills is recoverable through recycling or reuse, it’s a huge loss to simply toss these goods away. Committing to the affordability, availability and increased visibility of sustainable garments is only part of the solution. As Runway Reimagined at Eco Fashion Week demonstrated, it’s also important for designers, artists and manufacturers to consider what happens to their discarded garments. When over 95 percent of textile and clothing waste sent to landfills is recoverable through recycling or reuse, it’s a huge loss to simply toss these goods away. Runway Reimagined challenged designers and stylists to use unsold secondhand clothing and textiles to create new looks, because the most sustainable fashion is fashion that already exists. From the production of a garment to its disposal, we must continue to seek out innovative solutions. Given that over 80 billion new pieces of clothing will be purchased this year alone – 400 percent more than we consumed 20 years ago – Savers feels this is an important challenge. Now more than ever, we have an opportunity to create a sustainable fashion future, one that fosters sustainable production and distribution while also addressing waste as a part of the fashion industry. How our industry chooses to respond to these challenges is up to us. This entry was posted in Uncategorized and tagged Eco Fashion Week, eco-fashion, ecofashion, Eileen Fisher, Runway Reimagined, Savers, vision 2020.
by Le Souk | This article first appeared on Sourcing Journal here. With large amounts of petroleum and water used to manufacture typical performance and swimwear fabrics, finding eco-materials that are available and affordable can be a challenge. 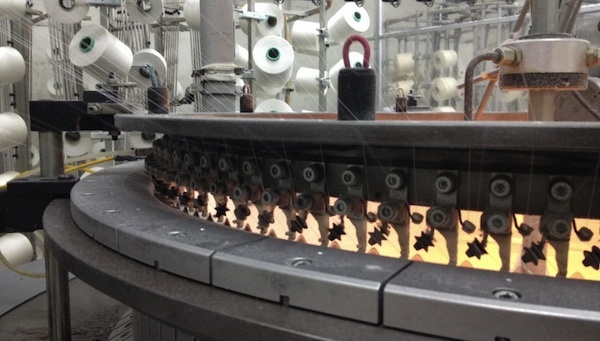 From Colombia to Canada, here are three textile mills reducing their carbon footprint for active apparel—one hop, skip and a jump at a time. Renowned for eco-sports fabrics, Columbia’s Lafgo Lafayette offers high-quality textiles, including a special line of tech fabrics designed for durability and breathability. Aware of their community and its well-being, the firm is committed to producing sustainable fabrics and reducing its carbon footprint as the years progress. Its second mission is to improve the quality of life for the 1,600 skilled employees who take up precious roles in its Bogota production. Here, Lafgo promote the reduction of non-renewable resources with a culture that upcycles and recycles materials where possible. Thirdly, technological development is paramount, but ideally done with minimal environmental impact and risk to the health of the community. When sourcing athletic fibers, its creative textiles with high-performance components allow designers to create comfortable, versatile garments as well as having a sportsluxe quality. Offering micro-terry and pure polyester, we especially love the polyester Lycra-blend fabrics suitable for running, hiking and yoga. Dubbed Laftech, the moisture-wicking fabrics reduce perspiration build up and boast stretching capabilities for movement. Check out their Magic Fabric mesh in hues of navy for layering on tanks and athleisure trims. We also like the Lycra Plain Weave Stepway for a monochromatic black legging or the black Optimus for embellished micro-squares. Thanks to the special construction of the fabric, Lafgo cloths acts as a real shield against UV rays, making then ideal for swimwear. Other features include a repel finish, which protects the fabric, preventing the absorption of liquids. 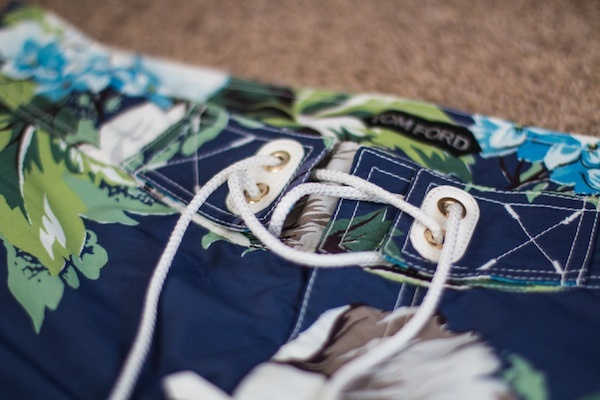 The Hawaiian-inspired Surfiando and Flores Vintage materials are a must see for boardies and bikinis, too. Finally, for the adventurers, special construction in the tabular form give Lafgo textiles high strength characteristics in both directions, making anti-tear. Now, prepare to scale massive design heights with these fabrics. Oratex was founded in 1989 as a commission knitter serving the garment industry in Canada. Over the past 20 years, it has proven innovative and consistent in quality with the changing times, growing from a knit supplier, to a maker of a performance materials—with an eco-twist. Today, Oratex’s knit-based knowledge is put to the test with activewear. Produced onsite, every aspect of the manufacturing process is heavily controlled, ensuring the high compression fabrics and apparel knit cloths are color fast and consistent in hue. We love Oratex’s Eco-Stretch materials. Made from organic cotton, recycled nylons and polyester, the firm uses yarns from Repreve—a recycled fiber that contains post-industrial waste and used plastic bottles. Owned by Unifi, Repreve is recognized across the globe for putting plastic landfill to good use and is already adopted by brands such as Volcom and Patagonia. 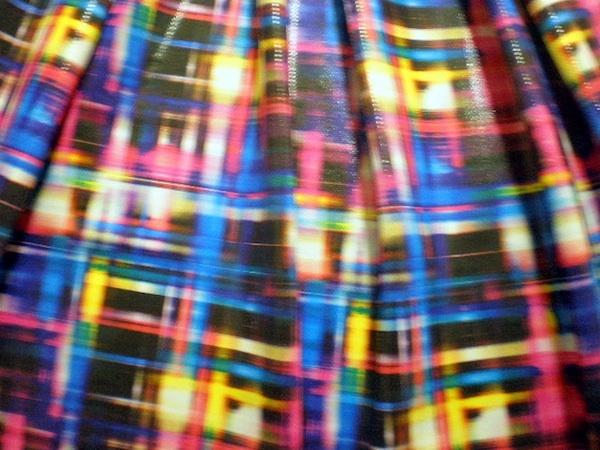 Oratex uses 70 percent less water and 70 percent less energy to produce their outlandishly colorful polyester and spandex fabrics too, which you can custom-make. And not forgetting their woolly roots, check out the mill’s baby jersey, rib knits, heavy fleeces and interlocks: because every sports collection needs those comfy, outerwear pieces to wear post-workout. Japanese-made, Toray Industries makes textile products that serve practical and tech functions. 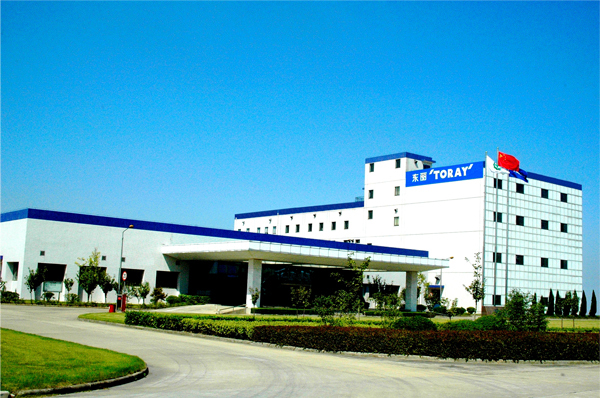 Founded in 1986, Toray is rooted in organic synthetic chemistry, polymer chemistry and biotechnology. With a sustainable element at its core, the company also works in water treatment and environmental engineering. From New York, Toray International America was born as a subsidiary of Toray. The company is known today as the inventor of the first ultra-microfiber, an invention which opened the door to the manufacturing of new, technologically advanced textiles. Prevailing as the world’s innovator in high-tech materials, we love the Ultrasuede collection for a little bit of luxury, while working up a sweat. Toray is exploring swimwear now, too. Ultra-fine polyester in high loft is woven with special textured stretch Lycra. By combining the two, it’s function-meets-comfort for bikinis and one-pieces with a stretch retention to withstand repetitive wear. There’s a UV SPF50 + protection while swimming and you can custom print your intimates, designing your own or taking inspiration from Toray’s current colors and patterns. With the diversification of consumer lifestyles, more outdoor festivals and the growing trend to incorporate sports items into everyday clothiers, Toray helps unblur the fuzzy lines between fashion and practicalities. LeSouk connects the world’s finest mills & tanneries directly to the design industry’s leading creatives. We bring together a trusted supplier network, the latest technologies and a community of designers and makers to make global sourcing possible – any time & anywhere. This entry was posted in Manufacturing and tagged Canada, eco-fashion, Lafgo Lafayette, Le Souk, Oratex, Toray Industries.